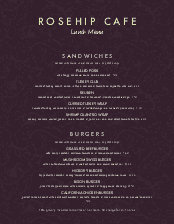 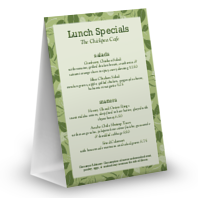 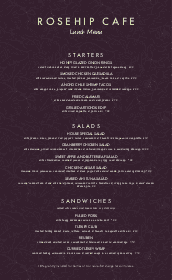 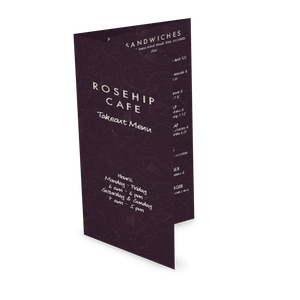 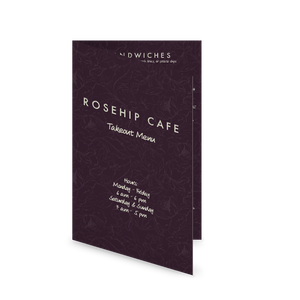 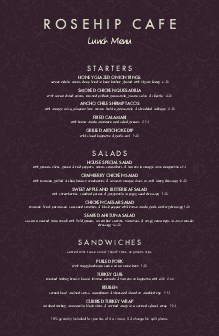 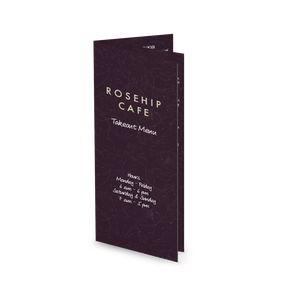 The Downtown Cafe Menu is backdropped with plum and a soft, floral pattern overlay. 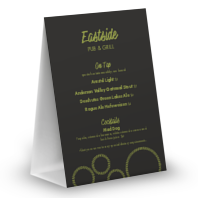 Your restaurant name and menu dishes stand out in lime. 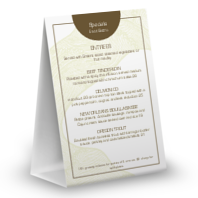 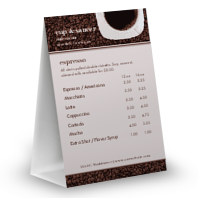 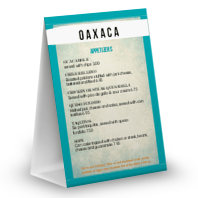 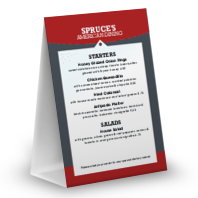 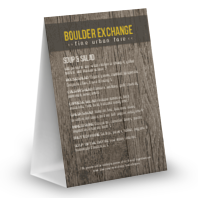 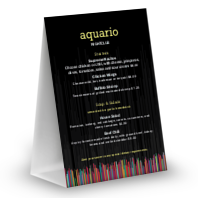 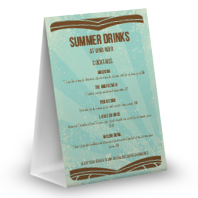 Use this template to promote seasonal events, drink specials, desserts, or other upsell items from your tables. 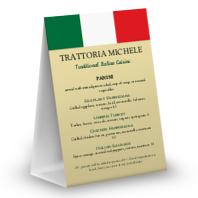 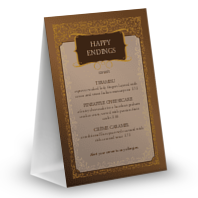 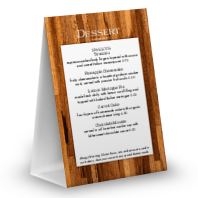 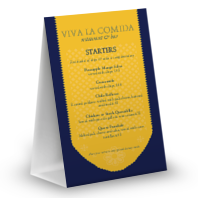 Make your own table tent in the online Menu Maker.